field. It is a hugely important cog in the machinery of government, the City of London and the global financial markets. The Bank’s powers now extend far beyond its month-by-month direction of Britain’s monetary policy, to the stewardship of its banks and, on the wilder shores of economic policy, to multi-billion-pound interventions in its ailing economy and ballooning national debt. 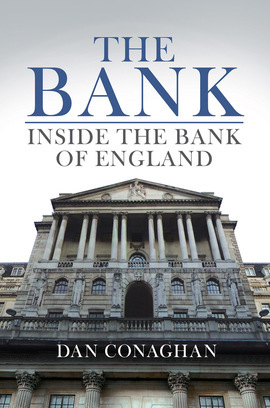 With its depth of source material and high quality of analysis dealing with a highly secretive and complex institution, Conaghan’s recent history of the Bank is timely, informative, and highly readable.